Spanish version from La Izquierda Diario, July 13, 2015. Early Monday morning, before the stock markets had opened, it was announced that the Eurogroup came to a unanimous agreement on Greece. 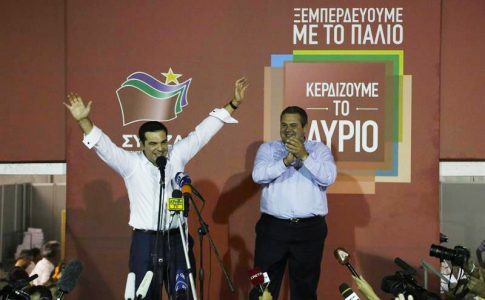 Alexis Tsipras finally capitulated to the brutal demands of the Troika which will mean a relinquishment of national sovereignty on areas such as fiscal policy, pension reforms, privatizations, and new cut backs. After 17 straight hours of talks during the Euro Summit, the Troika achieved the complete surrender of Tsipras. Some, including various journalists in the post summit press conference with Angela Merkel compared the agreement with a new Treaty of Versailles, imposed by the Allied Powers after WWI. The Eurogroup, which set the tone of negotiations on Saturday with a document that laid out new demands on Greece that were harsher than any demands made over the past six months. 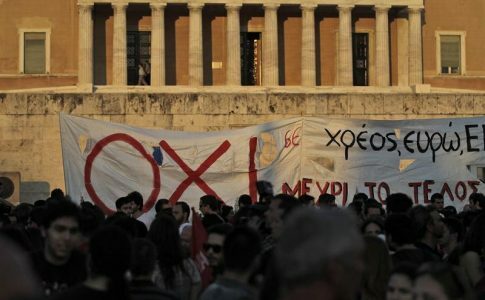 In the next three days, the Greek parliament will have to approve the complete set of demands and new laws on privatizations, tax increases, and austerity measures. The new measures include the transfer of €50 billion in Greek state assets to a fund managed by the European Union to force Greece to reduce its debt. They also include even harsher reforms to the pension system, an increase in taxes, the privatization of the electric company (something the government had rejected completely just a few days ago) a new labor reform which will allow for massive layoffs and measures affecting the financial sector. Upon learning about the terms of the agreement over the weekend, the international press noted that it was the greatest extortion the EU had ever inflicted on a member country. “Humiliation or Grexit” was the alternative the Eurogroup offered to Greece, according to a Times correspondent. “Europe Takes Revenge on Tsipras” was the front page headline on The Guardian this past Monday. A “little revenge after the referendum” said El Pais. According to the British daily, European leaders were forcing Greece to accept a draconian austerity package which would mean the handover of fiscal sovereignty as the price it would pay to avoid collapse and expulsion from the Eurozone. 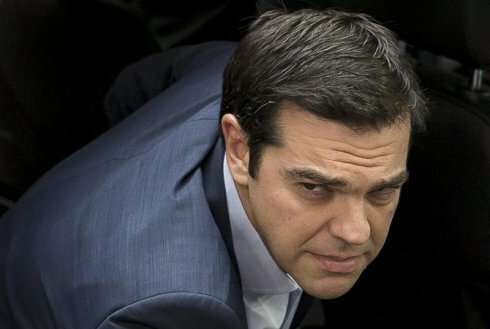 On Sunday night, Tsipras held a separate meeting with Tusk, Merkel and Hollande which the journalist covering the Brussels summit called a “true exercise in mental torture” aimed at forcing Greece to accept the extraordinary measures put on the table. In the past few days, tensions have arisen between Germany and France over the policy toward Greece, although both countries ultimately pressured Tsipras to accept. The terms of the agreement are much harsher than those demanded on any Greek government over the past five years and according to several analysts, they constituted “punishment” or “revenge” for calling the referendum and the victory of the “NO” campaign a week ago. The agreement confirms the control of the three institutions formerly known as the Troika over Greek affairs: The Troika is back. The measures that Tsipras will bring to Parliament will mean a new cycle of cuts and structural adjustment for the Greek people, after seven years of economic crisis. In his press conference ahead of the summit, Tsipras stated that he was sure the Greek people would support the agreement, without mentioning the referendum that took place less than a week earlier, in which Greeks overwhelmingly rejected the Troika plan (one less harsh than the current plan). He also assured the audience that while the measures are regressive, the would hold off the specter of a Grexit and would facilitate new investment in Greece, a discourse contrary to everything Syriza had stated in recent years in opposition to the bailout programs. With the implementation of a €50 billion fund of assets to be privatized, Greece will pay its debts in order to achieve new loans—a cycle of austerity and debt which appears to have no end. And all this in exchange for remaining in the Euro zone and the promise that, in the future, there will be a discussion on the restructuring of the debt, without any debt forgiveness, as Germany made clear. The magnitude of the privatizations fund is truly without precedent. In recent years, under the conservative and Social Democratic governments, the privatizations plan did not bring in more than $4 billion euros. Many journalists have asked in the moments following the announcement of the agreement, what was it that Tsipras had actually gained after 17 hours of meetings. The Greek prime minister said that the privatizations fund, instead of being held in Luxembourg, as was stipulated the day before, would be headquartered in Greece, but always under the control of the Troika. That this is his only “gain” demonstrates the true size of his defeat, as summed up in a tweet by a Greek journalist. After only six months in government, the capitulation of Tsipras and Syriza to the Troika appears complete. No one, not even its harshest critics, could have imagined the speed with which Syriza crossed every one of its “red lines” and ended up accepting a draconian austerity program. The landslide “NO” vote of only a week ago seems to be a distant memory. Because the government called for the referendum with the aim of “improving its position in the negotiations” it abandoned all its positions and accepted a program even more strict that than which was rejected by 61% of the Greek people. The strategic impotence of the reformist and conciliatory program of Tsipras, aimed at keeping Greece in the Euro zone “at all costs” ended in spectacular humiliation. What is not clear yet is what will happen in the Greek parliament over the next few days. Several Syriza MPs have announced they will vote against the plan. The Minister of Defense and leader of the right-wing nationalist ANEL party also declared his opposition to the agreement. A cabinet reshuffle has been talked about with voluntary or forced resignations of those who oppose the measures. The Minister of Labor has speculated that new elections will be called once the economy has “stabilized”. To Potami, the Trojan Horse of the Troika in the Greek parliament, which in recent weeks has met with various European leaders, is preparing to support the government’s plan in exchange for a policy of “national unity”. 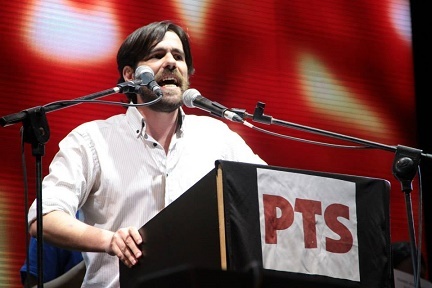 Left-wing parties and unions called for demonstrations against the agreement last week and have announced they will continue to mobilize against the new pact of submission to the Troika. The hashtag #ThisIsACoup exploded on social networks over the weekend, denouncing the policy of extortion carried out by Germany and Europe against Greece. The coming days will be key to the organization of a resistance by the Greek people to the new package of reforms imposed by the Troika. On August 9, the national primary elections, known as the PASO*, were held in Argentina.